In its original setting, bromeliads grow in the cooler areas of our rainforests. They thrive as epiphytes in the tall forest canopy. Taken out from its natural habitat, these plants can be grown as houseplants. Up on the trees they absorb moisture and other nutrients from the air, sometimes stealing nourishment from their host plants. A recent visit to the Orchid Park in Kuching convinces me that this particular variety grows extremely well in 'open' areas. The pink flowers were of great appeal amidst the greenery. 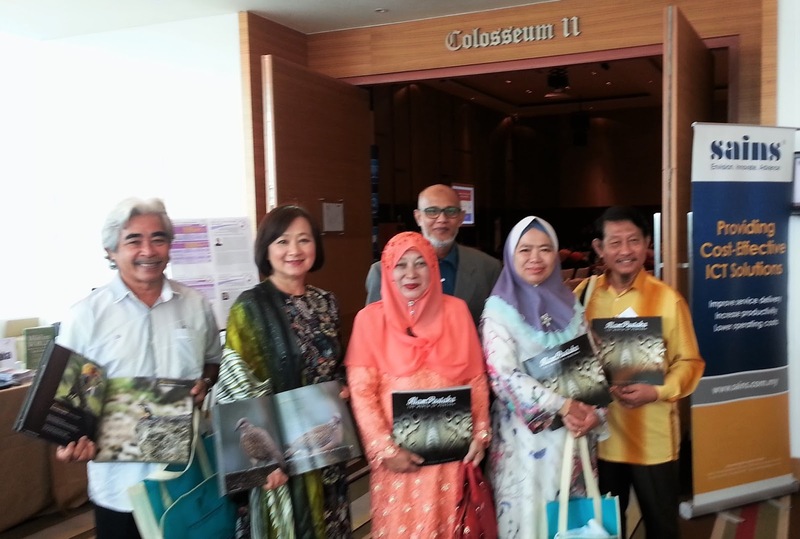 Note: The above images were taken in October'15 while on a visit to Kuala Lumpur and Shah Alam. Most cities and municipal areas in Malaysia lack any structure plan that incorporate urban green areas as a matter of fact. Almost all urban areas in Malaysia evolve in unplanned and haphazard happenstance which over time have little consideration for green belt areas or urban lungs, nature passageways and parks. Thus whatever we see in KL or Shah Alam are rare cases of afterthought. This is a lesson that must be learnt for newly developed and expanding town and city areas in Sarawak. Will we? 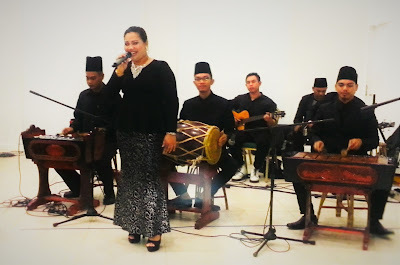 "Bengawan Solo" in keroncong gamelan style. 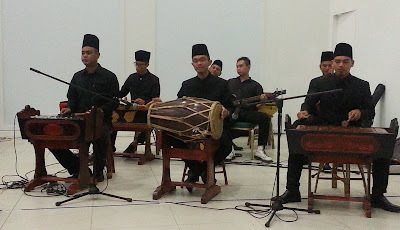 Gamelan ensemble from Kampung Jawa, Semengoh. The Gamelan music ensemble entertained us during a fund raising dinner at Hikmah, Kuching last nite. 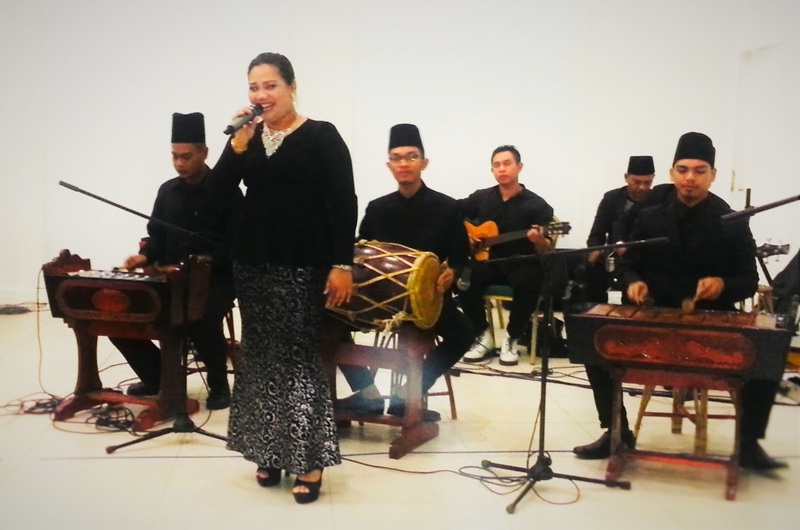 The atmosphere of the hall was filled with soothing and nostalgic songs rendered well by the group like 'Bengawan Solo' in 'keroncong' gamelan style. The ensemble is from Kampung Jawa, near Semengoh, Kuching. 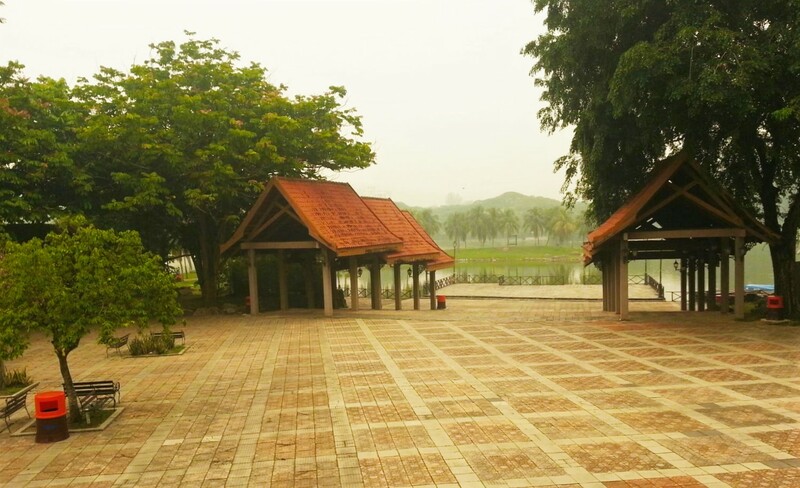 Location : Taman Botani Perdana , Kuala Lumpur. 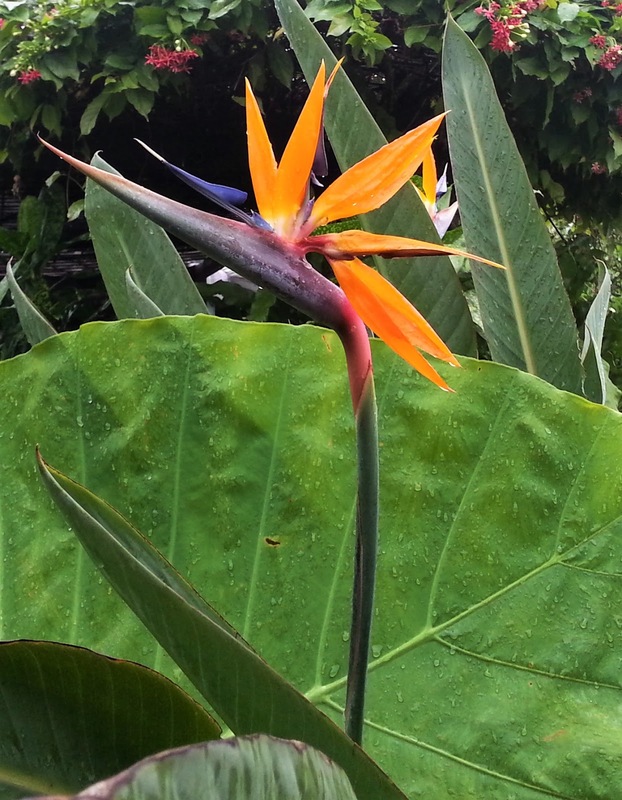 We can create a perpetual autumn in our tropical landscape. It is a matter of selecting the correct tree species. One tree that can serve this purpose well is the rain tree ( Samanea saman), not the common kind but an "albino" of the species. Some assign a new name to it as the 'Yellow' rain tree due to the strong yellow pigmentation of its leaves. I found that at the Taman Botani Perdana in Kuala Lumpur recently, the gardens people have begun to re-group a half dozen or so of these yellow form of rain tree at a certain location in order to have them provide the maximum effect of a perpetual autumn look. It is a right thing to in order to provide vibrant colour to the cool green wash of our local urban landscape. It is no exaggeration to say that if anyone can propagate this variety or form, he or she can be a multi-millionaire very quickly. But how? To replicate by cloning has not been known to bear any result. Further, this yellow form has not been known to produce pods or seeds. So there you are, if you want to get rich try beat this holy grail of the Yellow rain tree. Date: 16 Nov'15 at Pullman Hotel, Kuching. 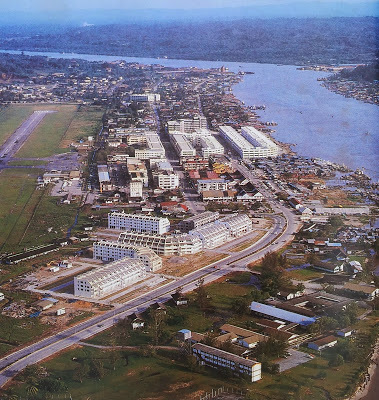 This aerial photo portrays the landscape and limit of Bintulu town's "urban" area in the late 50's to 60's era, prior to the its first boom period beginning 1979. 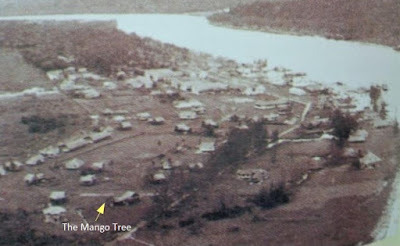 The Mango tree as seen today, 30 Nov'15. Water features at the garden space around IOI shopping mall, KL. Man-made lakes at Shah Alam city parks and recreational area. 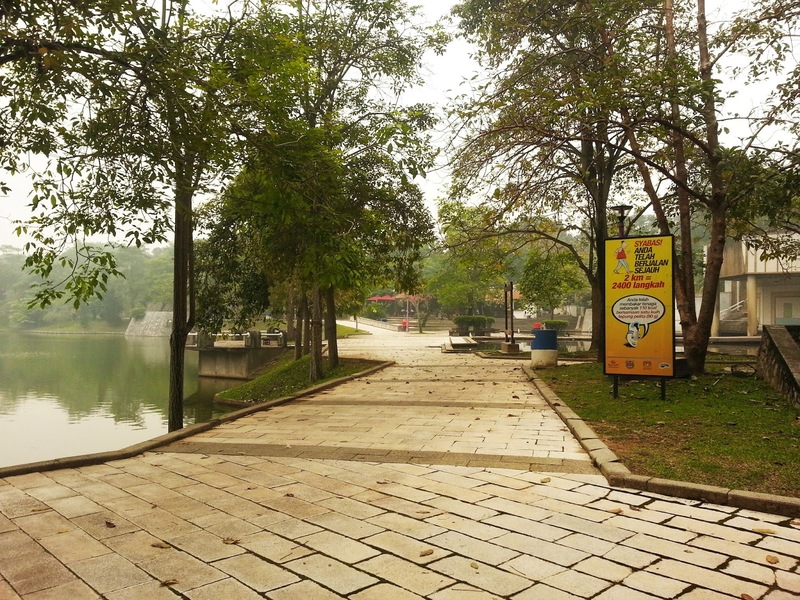 The haze has kept away many visitors to the park at Shah Alam, 20 Oct'15. 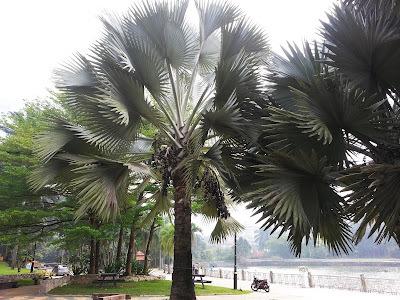 This October I took a brief family holiday to KL. An annual phenomena that caused schools to close for weeks and choked the city inhabitants happened again during our visit. 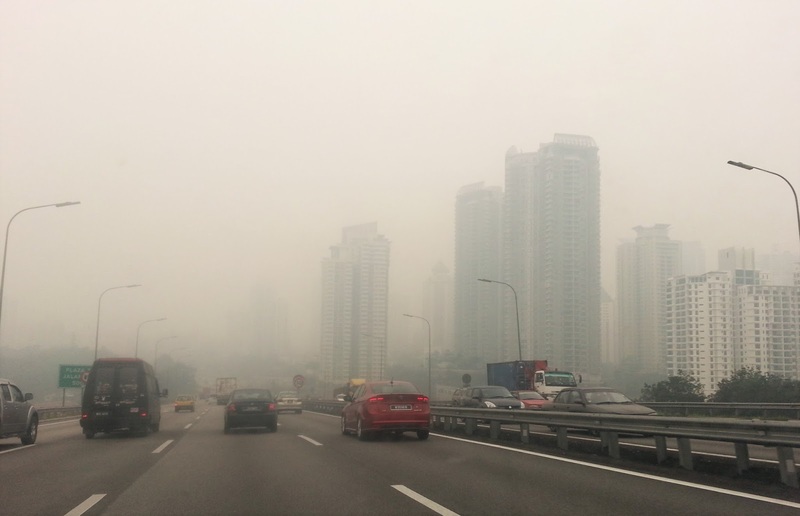 Kuala Lumpur sits in one big Klang Valley with surrounding hills that contain and circulate the industrial smog, traffic smoke and tropical jungle clearing haze from neighbouring Indonesian island of Sumatra. A row of small orchid shops at Taman Botani Perdana, KL. There is a row of orchid small orchid shops or stalls at the Taman Botani Perdana. On my last visit there in October this year, I noticed the small shops were pleasing to browse and surprised to see a good range of orchids species for sale. Some were native orchids and many more were cultivated hybrids. 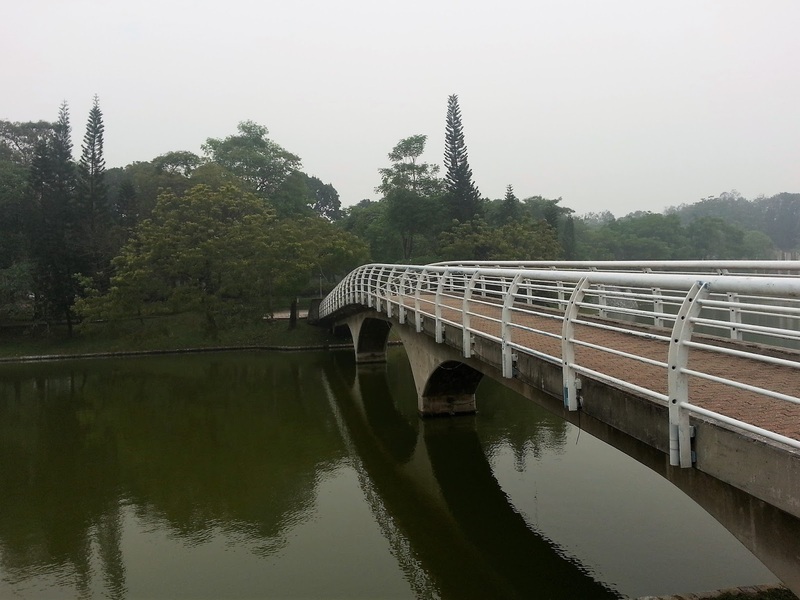 Don't miss a chance to drop by the place when at at the KL Botanic Garden situated the once very popular and well-known recreational area called the Lake Gardens back in the 70's. For more vanda orchid species that I have managed to photograph and named over many years of encounter, please go to this link ..here. It is not a very clear picture because it was shot in the shade without the aid of any flash. However, the image is good enough to show a bird I have not seen in Sarawak (as yet) but able to have a glimpse at the Kuala Lumpur Botanic garden called 'Taman Botani Perdana'. Its red forehead and cheek plus its wings convinced me it is the Banded Woodpecker which Malays call 'Belatok Merah'. It is not in New Guinea that I encountered the Bird of Paradise, but at the roof-top of a shopping mall in KL called "One Utama". The place was called "Secret Garden" where a large collection of tropical plants are housed in a garden space at the very top of the shopping mall. Seeing it for the first time in full bloom and healthily grown I was struck awesome by its colour and likeness of a bird in flight. 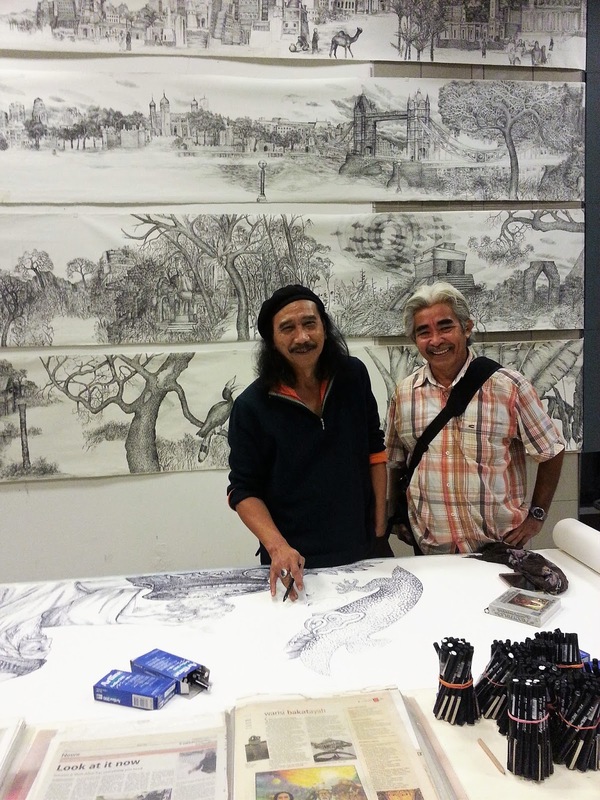 Taken on 23 October,15 at National Visual Arts Gallery, KL. Created this blog today in Kuching, 5.15 pm on Friday 13. This blog will act as a blogs central for all the blogging activities that are current. It's like a visit to the top ten blogs that I continually update and share stories and images to the world.